*Playing gears: overall jumpsuit uniform, V-Force mask, GTF semi-auto paintgun, head and neck protector. *Facility includes: individual lockers and changing rooms, media entertainment (satellite TV, DVD, etc). *In-out transport is available for limited area of Denpasar, Kuta, Jimbaran, Nusa Dua and Sanur. 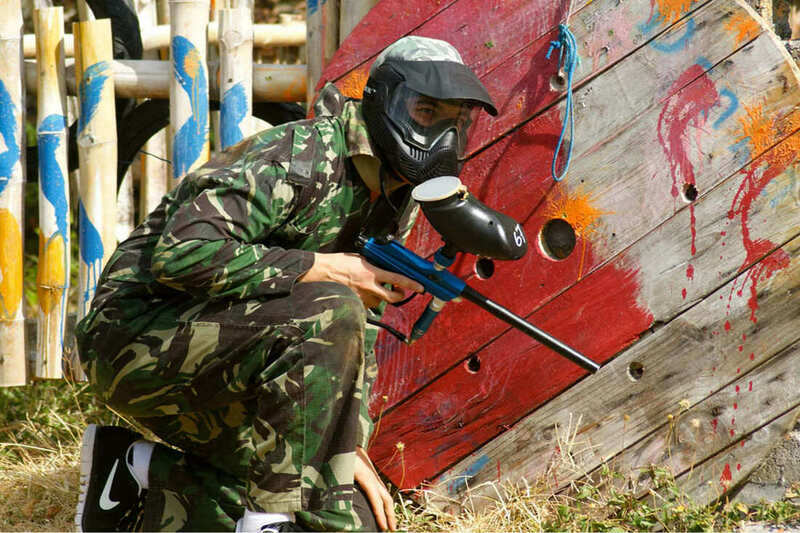 ​A paintball is a round, thin-skinned gelatin capsule with colored liquid inside it. 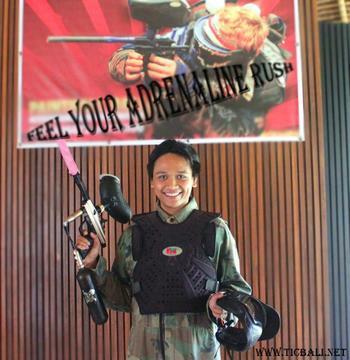 Paintballs are similar to large round vitamin capsules or bath oil beads. The fill inside paintballs is non-toxic, non-caustic, water-soluable and biodegradable. It rinses out of clothing and off skin with mild soap and water. When a paintball tags a player, the thin gelatin skin splits open, and the liquid inside leaves a bright “paint” mark. A player who is marked is eliminated from the game. 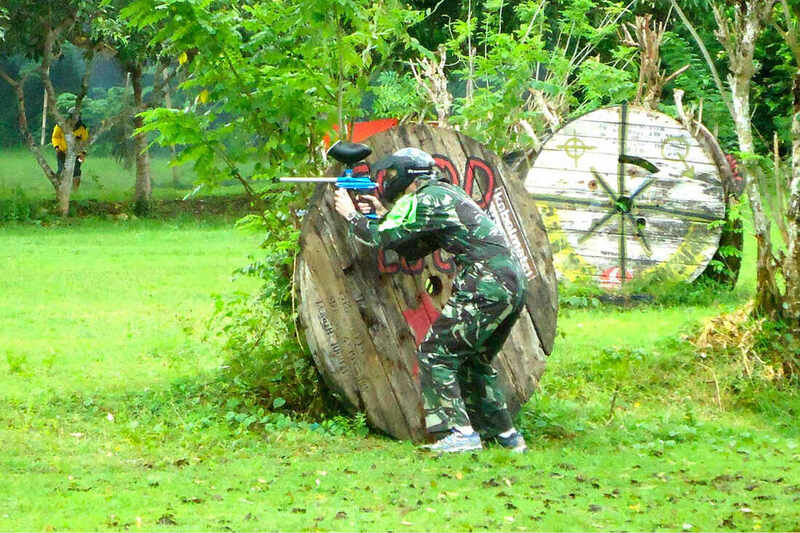 Paintball Bali offers various different types of games. Here are the most popular games which are also played at any international events. This ‘capture the flag’ or ‘flag in the middle’ is played in Castle Island field. The objective of this game is to capture the flag (which is placed in the middle of the field) and deliver it to the enemy’s starting point without being shot. In one game we have two sessions that go for approximately fifteen minutes each. In both sessions we introduce what we call the ‘reincarnation period’, which means that if you get shot in the first five minutes of that session (and the bullet splats) you are not out of the game, you simply return to your starting point and then re-enter the game. However if you are shot after the first five minutes you must leave the field immediately. Played in Kampung Bali field. In this field we play ‘attack the enemy’ game. In this game one team is being the defender of Kampung Bali and the other team is the attacker. The defending team is not allowed to leave the shelters until the attacking team has fired a shot, however the defending team can shoot at the attacking team from inside the shelters. In this game there is no reincarnation period and the winning team is the team that has the last man standing. There are two sessions in this game and each session lasts for approximately 20 minutes each. In this field we play the two flag game; in this game each team has their own flag which is placed at each starting points. The objective of this game is to capture the enemy’s flag and bring it back to your starting point. There is no reincarnation period in this game, but again there are two sessions and each session lasts approximately 20 minutes. 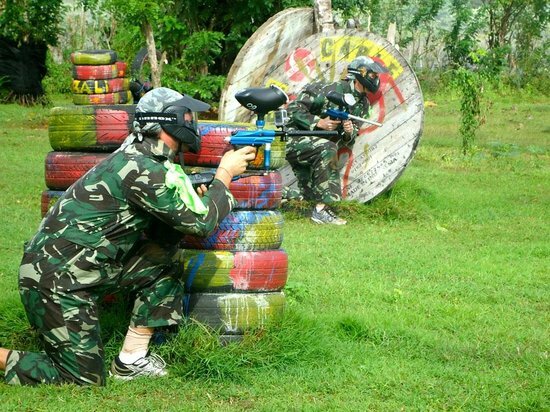 The above games are just few of many other games that can be played in our 3 hectares compound. Our well-experienced referees will set and supervise the game at their best for your full satisfaction during the session.